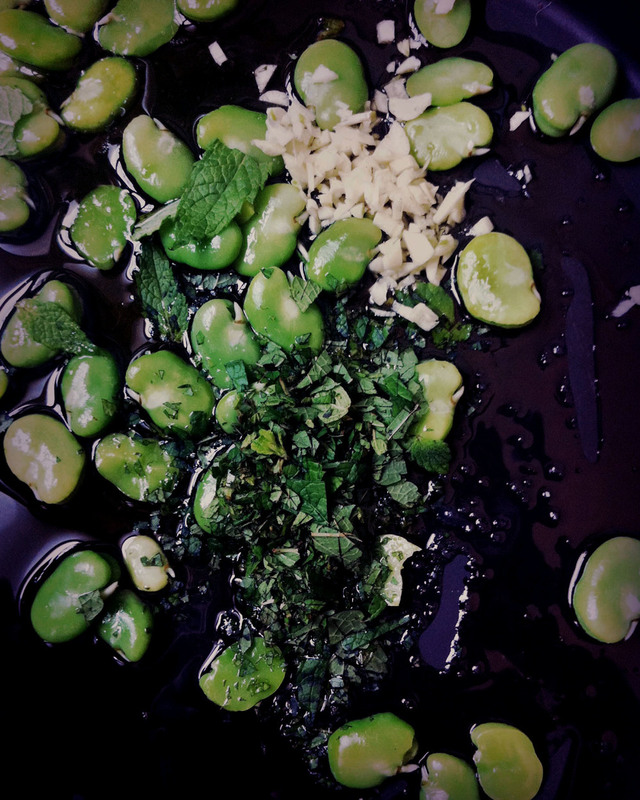 Fava beans are one of the fleeting mid-Summer vegetables that are quite easy to miss. They show up at the market for a short time only. They start appearing in the late Spring and are gone by mid to late July. I was just on the cusp of not finding them this year and may have found the last of them. 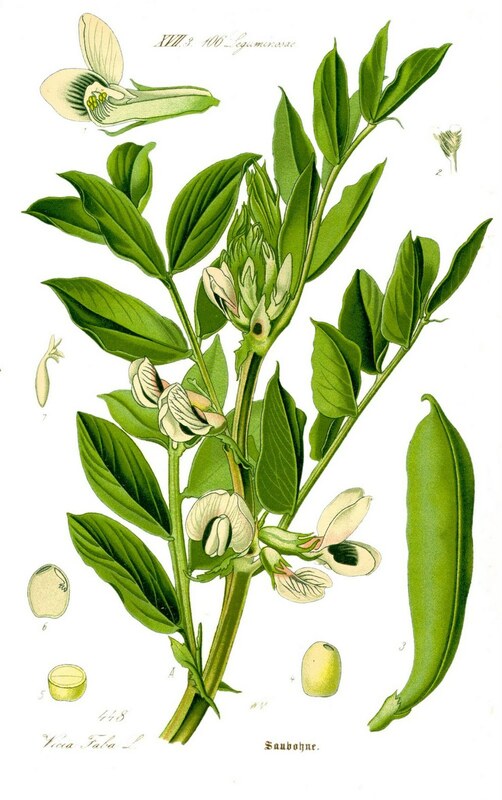 The Fava bean, sometimes called the Broad Bean is popular in Europe and the Middle East. It has long been a staple in the Mediterranean diet. I was first introduced to the Fava bean as a kid by my grandmother, as Fava Beans and Chicory is a popular Puglian dish. You can find them dried year round in many US. markets. They are a long oversized fuzzy grean bean and require quite a bit of work to prepare, this may account for thier somewhat obscure status. When looking for a recipie for the odd or unusual vegetable. I always turn, with out fail, to Alice Waters. One of the cookbooks I cannot live without is Alice Water's Chez Panisse Vegetables. If i were only allowed one book, this is the book I would choose. I love it because I can look up any seasonal vegetable in the index and go to a complete section of recipies using said vegetable. Today, I chose Fava beans. After two long weeks of work and catering everyday, I really wanted to be in control of my own food choice. I had some fava beans I needed to use from last week's farmers market upstate. I was a little torn between Fava bean ragout and Fava bean puree but decide to go with the former. I used Alice Waters recipie as my guide and then improvised a bit as I usually do. I substituted fresh lemon balm and fresh mint for the rosemary as that is what I had on hand. I sometimes find rosemary to be a bit heavy in the summer. I used far less beans because I didn't have as many as the recipe called for. I added a little bit of Bhutanese red pepper at the end and lime instead of lemon and some shavings of pecorino. Shell the fava beans and discard the pods. Bring a pot of water to boil, add the fava beans and simmer for 1 minute. Pierce the outer skin with a thumbnail and squeeze each bean out of it's skin with thumb and forefinger. Peel and chop the garlic very fine. Put the fava beans in a suacepan with a mixture of half water and half olive oil enough to just cover them. Add the garlic and rosemary and season with salt and pepper. Bring to a simmer, cover and cook until the beans are tender, 5 minutes or so more or less. finish with a squeeze of lemon and another grind or two of pepper. This ragout is great over pasta or on toasted crostini. My improvised version is below. transfer to pasta and add some shaved pecorino romano. Add the fava bean ragout add a drizzle of olive oil and a shaving of pecorino.